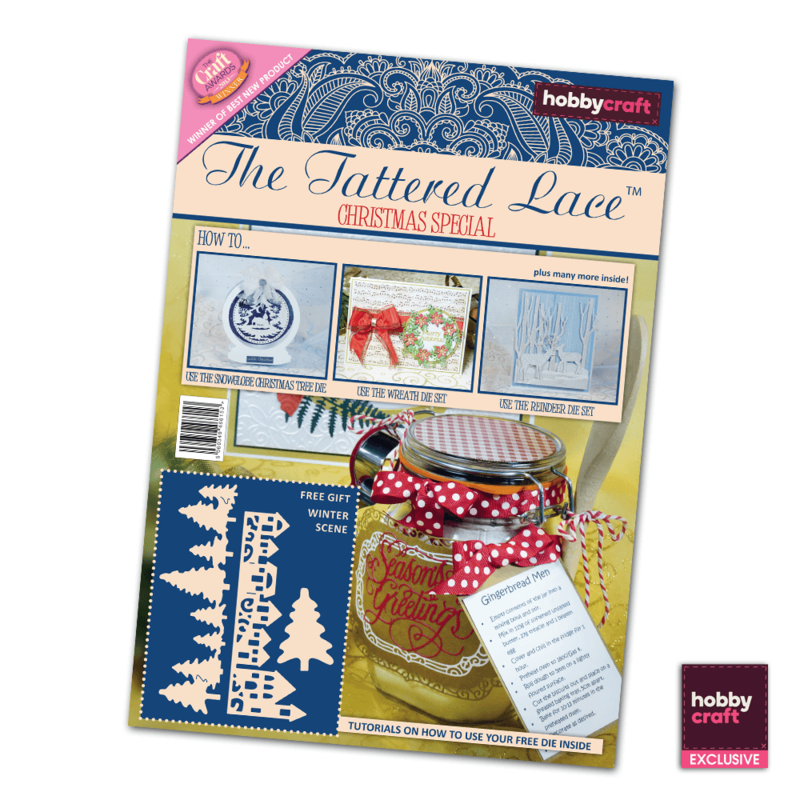 The team here at Tattered Lace were beyond excited and ever so delighted to get the invitation from Hobbycraft to create a Tattered Lace Christmas Special Magazine incorporating the Hobbycraft Exclusive Christmas Tattered Lace Dies. So here it is and you will not be disappointed! We are proud to introduce you to the Hobbycraft Tattered Lace Dies Christmas Collection 2014 that are showcased in this magazine. The magazine is jam packed with projects that include card making, gift making, gift giving, decorating, place settings and lots of fun! As well as the fabulous projects you will also find the FREE GIFT die, The Winter Scene Die Set, which makes the most beautiful and elaborate cards and decorations. Not just for Christmas though, you can make lovely village scenes throughout the year. Pop along to the centre of the magazine and you will find 16 utterly beautiful papers that have been designed specifically for the projects. You will also find two pages of templates in this Special Issue, try making your own table setting this year, a great way of keeping the children busy on rainy days!